Learn how to connect expert React UIs to Smart Contracts on Ethereum using the best tech stack available today! To become one of the world's first Dapp developers, you need to develop and deploy a fully functional Dapp. In this course, you get step-by-step guidance on how to develop and connect a professional React front-end to an Ethereum Smart Contract. The front-end boilerplate and architecture that you get is superior and will allow your Dapp to scale if you choose to make it go public. The prototype you develop in this course is called Proof Of Existence, a P2P marketplace for digital assets. 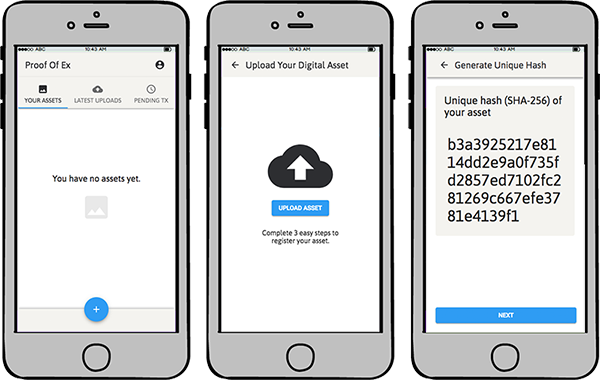 Blockchains are great for timestamping assets and documents in order to prove authorship. 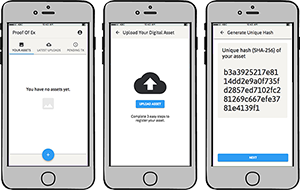 As you build this prototype with React & Redux, you develop a blockchain UI check-out flow for registering digital assets that's backed by a Smart Contract that digitally enforces an agreement. Have a question or need help? Join the Slack Channel. You get a series of 8 premium lectures, broken into modules containing both video and written instructions and step-by-step guidance. You can complete the course in the recommended 3 weeks or complete it at your own pace. As you develop the P2P Dapp, you learn foundational principles of modern front-end engineering with React & Redux. And you get an introduction to Smart Contract development with Ethereum's Solidity programming language. Finally, you build a fully-functional Web-based and responsive decentralized application that can run on any device on the planet. You'll learn what types of Dapps make the most sense to use a Blockchain as a decentralized data store. Then, I'll prove my case that the Dapp prototype for this course fills all the necessary requirements. I’ll be giving you an overview of the P2P Dapp prototype you'll be developing, and the main set of user-facing features you will create. You'll learn how to build Dapps that can run in the new Crypto browsers like Trust, or desktop browsers like Chrome. I’ll share with you the high-level front-end engineering skills you'll need in order to write great front-end code. You'll understand why React is great, and why you need Redux, Webpack, and an easy-to-use CSS architecture in order to create Web-based Dapps. In this module we set up up your development environment for professional Dapp development with Truffle, the leading Dapp development framework for Ethereum. You need to test your Smart Contract on a local blockchain. In this module you'll install Ganache-Cli and see how you can get access to free money to help you build your Dapps. When you build a user-facing Dapp, the front-end is critical. In this module, we'll install the front-end of your Dapp using an expert React boilerplate with Material-UI built in so you can play Designer too. Here you'll get greater understanding of Ether, Ethereum's native currency. You'll also understand Gas, transaction fees, and why they're necessary for the Ethereum decentralized network to work properly. Understanding how a network of decentralized computers achieve consensus is critical to understanding Ethereum. You'll learn about the current Proof Of Work algorithm being used and the future Proof Of Stake that will takes its place. Today we build modern interfaces by thinking and developing in terms of UI components. If you don't already know React, you'll learn why it's better than the alternatives and how to develop with it. Knowing React is an extremely powerful skill to have. When you build a scalable React front-end, you need to manage the data that flows it. You also need to know how to manage application state. This is where Redux comes in, an advanced design pattern for managing application state. Webpack powers your entire front-end and in this module you'll understand the basics of how to use it. You'll also learn how to organize the directory structure of your React Dapp, and how to skin it using a solid CSS architecture. MetaMask is an extension that allows any Web-based Dapp to interact with the Ethereum network. Without it, your users would have to install a full Ethereum node in order to use your Dapp. You need to understand why this key component of the Ethereum ecosystem is so critical. In this module, we will begin the coding of the P2P Digital Asset Marketplace Dapp. The first thing you will have to do is set up your Dapp's Provider, which will be MetaMask. MetaMask is being updated with breaking changes, so you'll only receive the updated instructions on how to set it up as a provider for your Dapp. You'll become a MetaMask power user as you learn how to use it as a wallet. You'll learn how to send money to it from a faucet, or from your local blockchain for development purposes. You'll also implement MetaMask detection logic in React in order to notify your users that they have to install it before using your Dapp. You'll learn how to organize your Web3.js calls using Redux. Knowing how to use Redux to make Web3.js calls will give you sanity and scalability as you create your user-facing Dapps. Each Smart Contract must create an ABI definition file that allows your React code to call its functions. You'll also need additional NPM packages to make it easy for your front-end code to communicate with Smart Contracts. You'll get all the answers on how to do this in the full course. 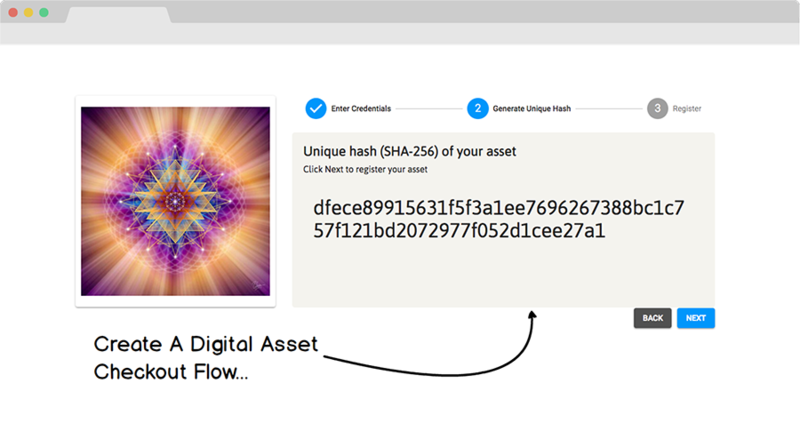 This is where you complete the digital asset check out flow. Everything that you've learned thus far will be tied together as you complete the main features for the Dapp prototype in this course. See how you can leverage a third-party React library like Material-UI to create graceful UI transitions, loaders, progress indicators, icons, and so much more so you can make your user-facing features look and feel great. Finally, you'll get to see how transactions get registered, mined, and appended to the Ethereum blockchain. Once this is done, you'll have a good foundational understanding of Ethereum Dapp development including Solidity programming and React UI development. The Solidity programming language is being rapidly updated. In this module you'll get a firm foundation of Smart Contract development as you create the contract for the Dapp in this course. Smart Contracts are a new type of backend for future applications. They're transparent, automated, and immutable. Since this technology is so new, a lot of things can go wrong. In this module you'll get a good foundation of Smart Contract programming so you can avoid major mistakes. You'd never deploy a Smart Contract that deals with money on the Main Net without a solidity understand of potential security flaws. We'll go over that in depth has you complete the user-facing Dapp, Proof Of Ex, in this course. You're about to build your first Ethereum dApp.